May 17 was first known as the “International Day against Homophobia” and mainstreamed through its acronym “I.DA.HO” In 2009, Transphobia was added explicitly in the title of the name, in the recognition of the very different issues at stake between sexual orientation and gender expression. 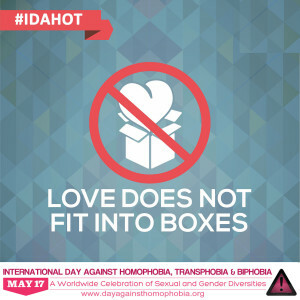 “IDAHOT” became another popular acronym used alongside the initial one. Since 2015, biphobia is added to the title, to acknowledge the specific issues faced by bisexual people.